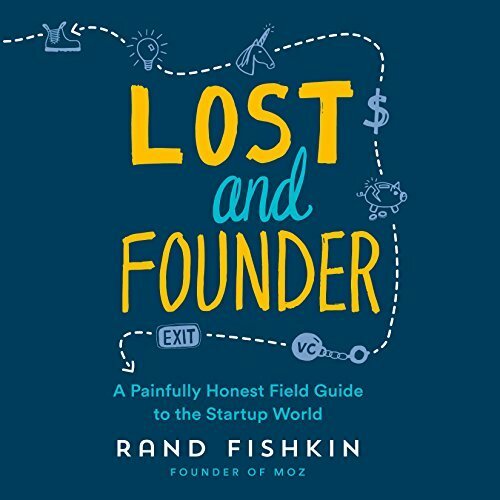 I’ve been a fan of Moz (and Rand, via the transitive power) since the “SEOMoz” days, so buying [t]his book, ‘Lost and Founder,’ was a no-brainer. Wonderful storyline, accompanied by valuable business/life/success lessons and plenty of Fishkin’s familiar personality—in his own voice*—throughout his book about a sixteen-year stint building and leading a startup. My favorite part is near the end… Rand explores (don’t worry, this isn’t a spoiler) the importance of culture—specifically, values like transparency and integrity—and the important of holding true to your values even when ???? hits the fan. … make this a BAMF book, IMHO. Do yourself a favor and give it a listen/read.